﻿ EnterTRAINment Junction - Ohio. Find It Here. Unlike any indoor family entertainment center on the planet! Discover 80,000 sq. ft. of unmatched family fun, featuring two world class attractions. At EnterTRAINment Junction, you can marvel at the world's largest indoor train display (that's 25,000 sq. ft. of model trains on an enormous train layout), bounce, climb and crawl in a spectacular children's play area, explore the imaginative railroading museum, engineer your own locomotive, ride a narrow gauge train and enjoy the greatest funhouse on earth!EnterTRAINment Junction is like a theme park, but all indoors! 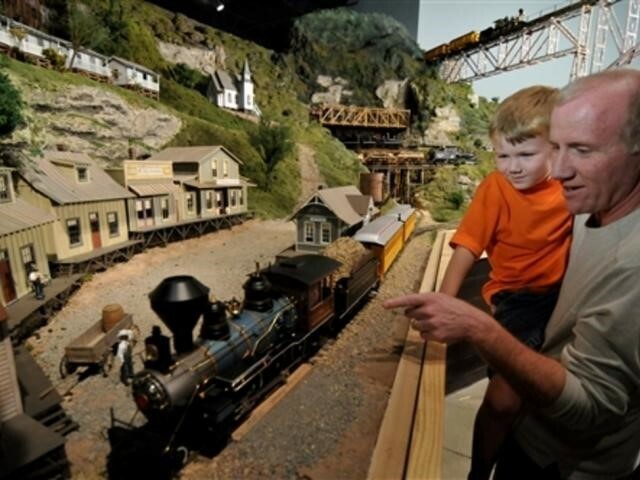 EnterTRAINment Junction was voted Ohio's Best Family Entertainment Center! Check out this premiere attraction in Southwestern Ohio!Don't miss out! Throughout the year EnterTRAINment Junction has seasonal and special events for everyone to enjoy.